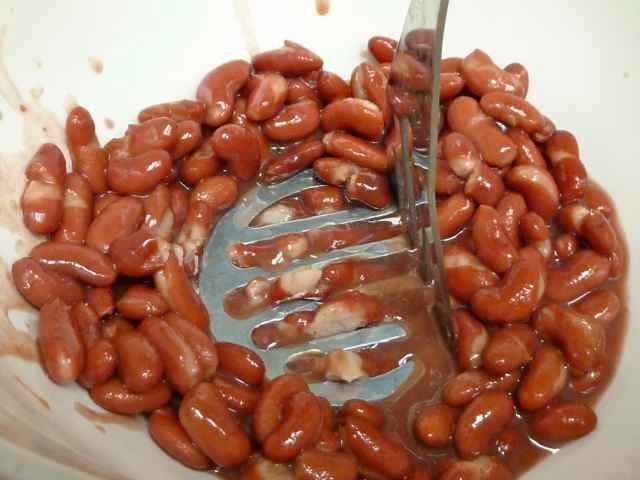 I love these bean burgers. They are so flavorful and delicious! They make a healthy, low-fat, satisfying meal for vegetarians and meat eaters alike. 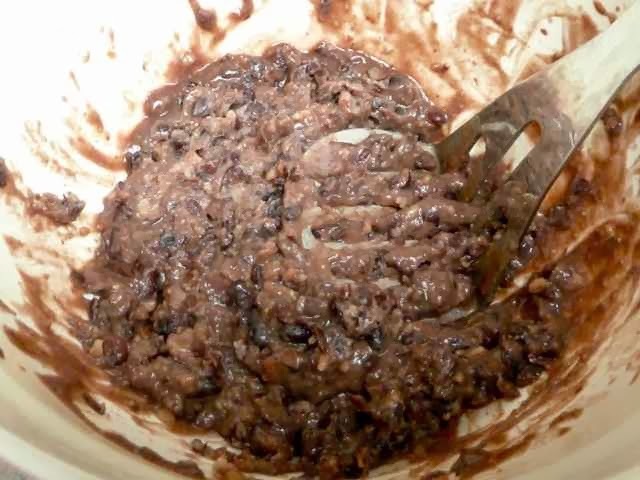 I made one batch with black beans (my personal favorite) and one with kidney beans. This recipe will also work with beans such as pinto, red, navy and cannellini. I used to make these on the grill for my son when we were having a barbeque. They are very delicate and it takes some care to keep them together on the grill. Now I like to broil them as they get browned on the outside like they would on a grill and no special handling is necessary to keep them together. I suppose you can also pan-fry them, but why add the extra calories? 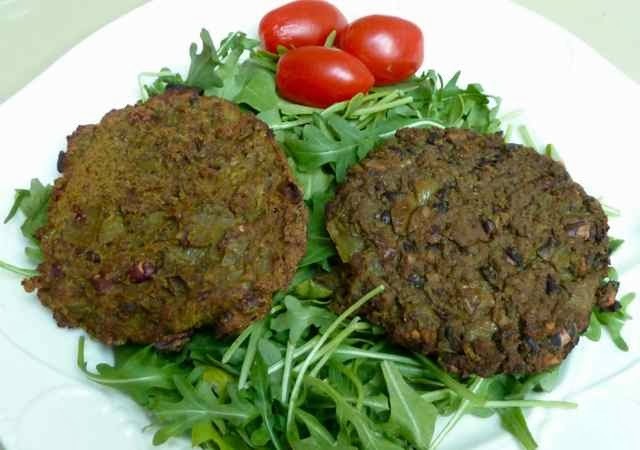 These bean burgers are great on burger rolls, over salad greens or any way that you would serve a regular burger. and a burger with Black beans on the right. Makes 4-6 burgers depending on how big you make them. 1 14-oz. can or 2 cups Kidney, Black or similar Bean of choice. Take 1/3 of the mushrooms and chop them with a knife. 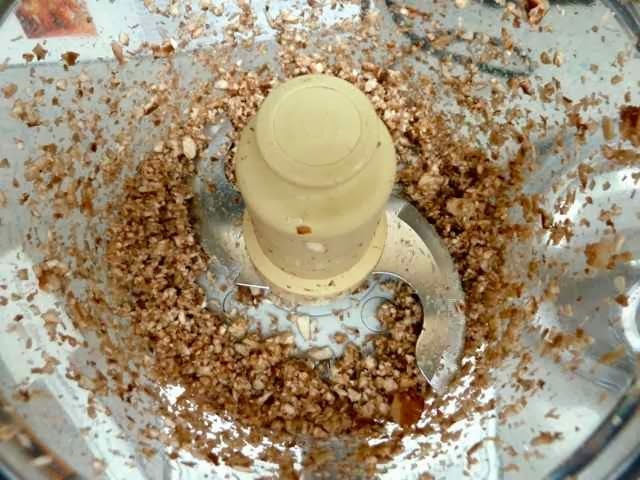 Take the rest of the mushrooms and pulse them several times in the food processor until finely minced. Mushrooms after pulsing in the food processor. Heat the olive oil in a skillet and sauté the onions and garlic until the onion is transparent. Add all the spices and then stir and cook for one minute. Add all the mushrooms. The mushrooms will release liquid, sauté until this liquid cooks off. Turn off the heat and set aside. Onions, garlic, mushrooms and spices after all done. In a large bowl mash the drained beans. I like to use a potato masher, but you can use a fork also. Red beans before mashing with a potato masher. Black beans all mashed up. Add the cooked onion mixture and flours to the mashed beans in the bowl. Mix together well. Burger mixtures ready to form into burgers. 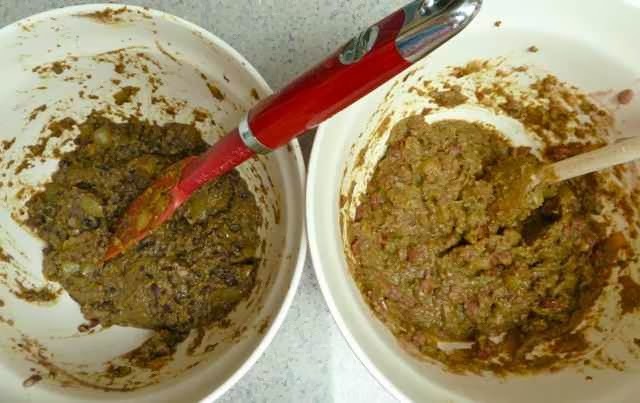 Black beans used on left and kidney beans on the right. 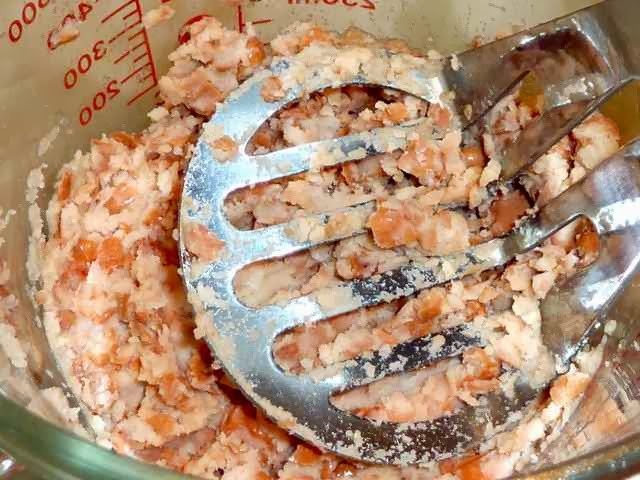 Divide the bean mixture into the desired size burgers. 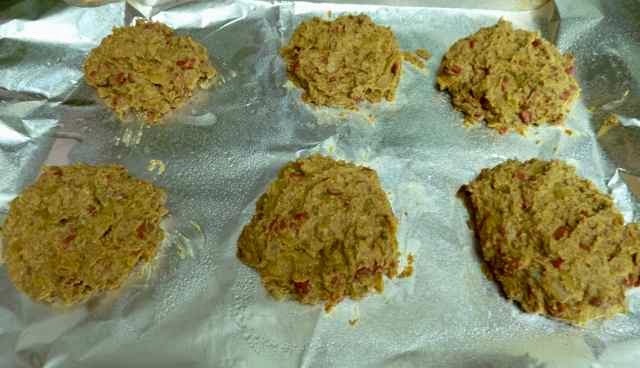 I scooped out the mixture onto the prepared baking sheet and then used wet hands to shape each burger. 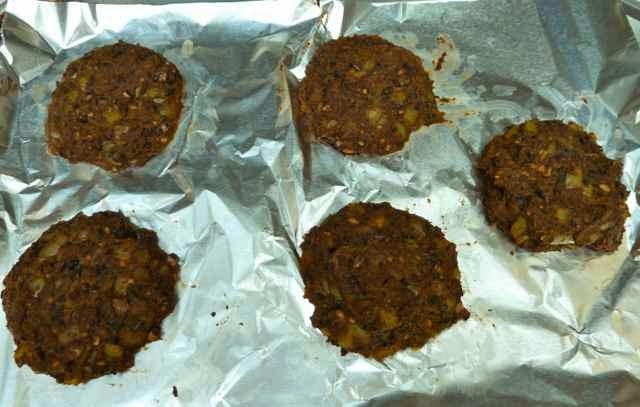 Raw kidney bean burgers shaped on the baking sheet. 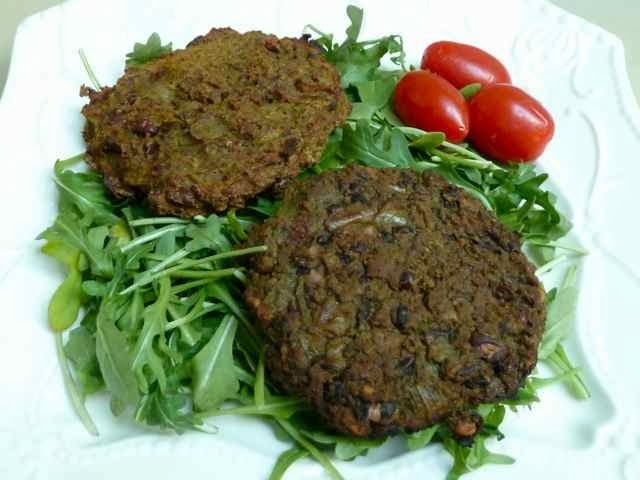 Black bean burgers broiled on one side. I have not been baking as much as usual since the birth of my grandson, Ayden, 12 days ago. Instead, my focus has been on making easy to freeze foods for my son and daughter-in-law. I wanted to make meals and food preparation a bit easier for them while they adjust to being first-time parents and nursing a newborn. My son is vegan and my daughter-in-law does eat meat but is allergic/sensitive to gluten, soy and fresh tomatoes. Most vegetarian meat substitutes are made from soy and/or wheat gluten. It is difficult to make one meal for both of them. 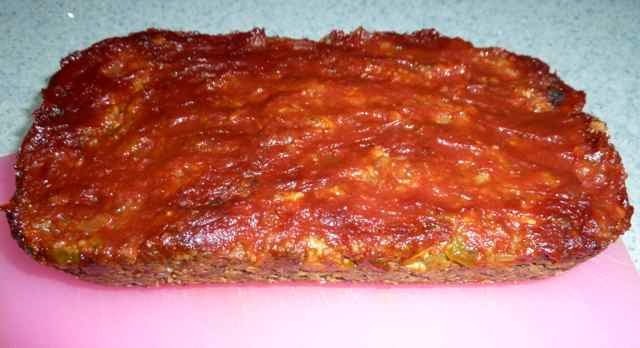 Last week one of the things that I made was a “meat” loaf that they could both eat. 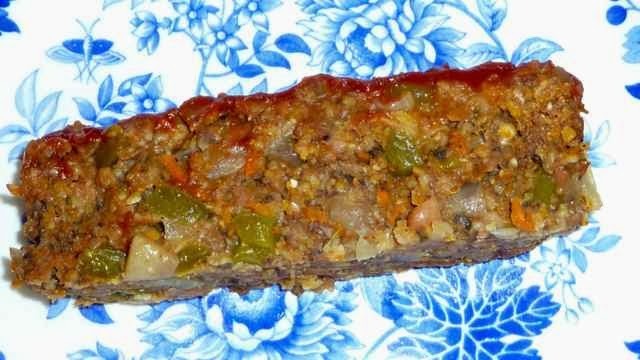 The recipe is based on one from the My Vegan Cookbook blog that has always been a hit with the whole family, vegetarians and meat eaters alike. I used to make it as written and use gluten free oats and soy sauce. It also calls for tofu. I decided to replace the tofu with chopped mushrooms and some flour to add moisture and help hold it together. Instead of the soy sauce in the recipe I used balsamic vinegar. The loaf is moist and I love the flavor of the spices. It is easy to make and it freezes very well. Gluten Free Quick Cooking Oats or GF Old Fashioned Oats that are pulsed several times in the food processor. Fresh Mushrooms - 1/4 of the mushrooms sliced and the rest finely chopped or pulsed several times in the food processor. Cooked Lentils or any other bean - drained and mashed. Use a nonstick bread loaf pan or line a loaf pan with aluminum foil. Grease the foil or nonstick pan with olive oil. Sauté the onions, sliced mushrooms and peppers in 1 Tbs. of the oil until the onions are transparent. 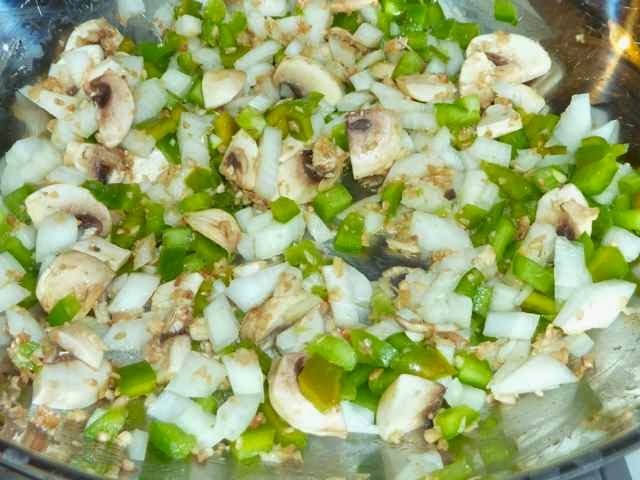 Chopped onions, peppers and sliced mushrooms beginning to cook. Add the finely chopped mushrooms and sauté one or two more minutes until softened. Cooked vegetables with the finely chopped mushrooms added. In a large bowl add the flour, cornmeal, sugar, herbs and spices; then mix well. Add the beans or lentils, grated carrots, vinegar, 1 Tbs. catsup, 1 Tbs. 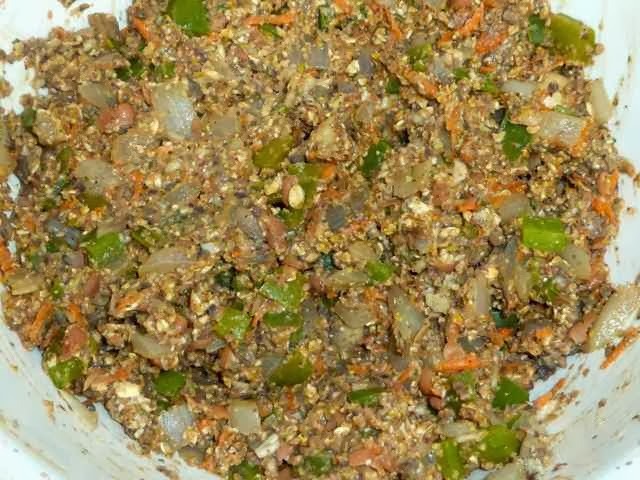 oil, oats, cooked onions, peppers and mushrooms and mix together well. you can also use a fork. Spoon the mixture into the prepared loaf pan. Smooth the top with wet hands. All the ingredients mixed together. 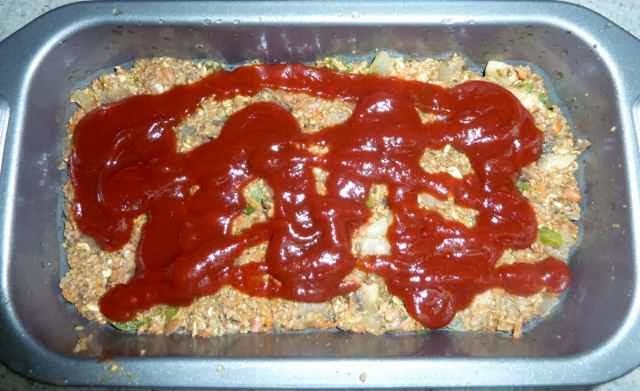 Spread the 3/4 cup of catsup on the top of the loaf. Catsup on top ready to be spread out on top of the loaf. Bake 30 minutes. Cover the loaf with foil after the first 20 minutes of baking to avoid burning the top. Baked loaf resting in the loaf pan. Allow the loaf to rest at least 15 minutes before removing it from the pan and serving. Baked and rested loaf on a cutting board, ready for slicing. If you plan to freeze it, allow it to cool completely first. You can freeze it whole or slice it first and freeze individually wrapped pieces. 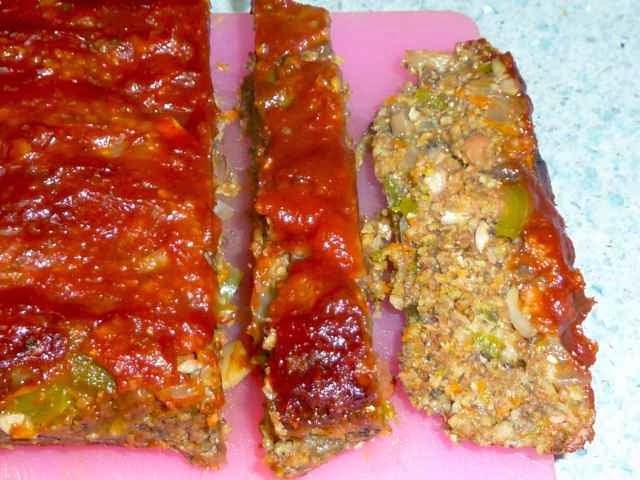 GLUTEN FREE, VEGAN & SOY FREE VEGGIE “MEAT” LOAF Ingredients LOAF 1 cup Gluten Free Quick Cooking Oats or GF Old Fashioned Oats that are pulsed several times in the food processor. 10 oz. Fresh Mushrooms - 1/4 of the mushrooms sliced and the rest finely chopped or pulsed several times in the food processor. 1 cup Chopped Onion 1 cup Fresh Green and/or Red (or yellow or orange) Peppers - chopped 1 Tbs. Tomato Catsup (I used Trader Joe’s Organic) 1 large Carrot - peeled and grated 3 Tbs. Corn Meal 3 Tbs. Tapioca or Sorghum Flour 3/4 cup Cooked Lentils or any other bean - drained and mashed. 2 Tbs. Balsamic Vinegar 2 Tbs. Olive Oil 1/4 tsp. Thyme 1/4 tsp. Cumin 1 tsp. Chili Powder 1 tsp. Dried Parsley 3/4 tsp. Sea Salt 1 tsp. Sugar 1/2 tsp. Garlic Powder 1/4 tsp. 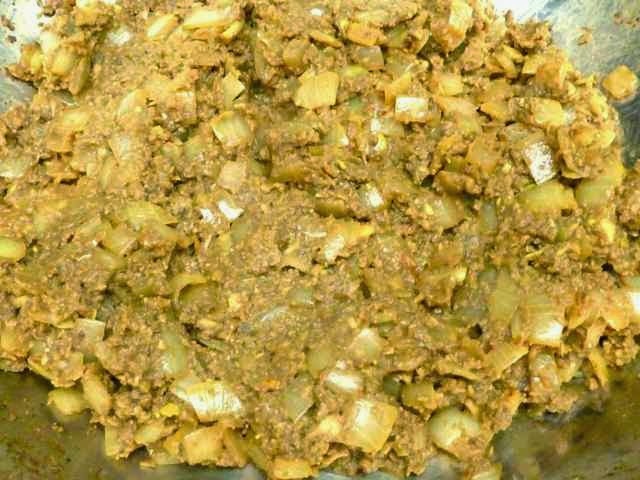 Onion Powder 1/4 tsp. Dried Mustard TOPPING 3/4 cup Tomato Catsup (I used Trader Joe’s Organic) Directions Preheat the oven to 375 degrees. Use a nonstick bread loaf pan or line a loaf pan with aluminum foil. Grease the foil or nonstick pan with olive oil. Sauté the onions, sliced mushrooms and peppers in 1 Tbs. of the oil until the onions are transparent. Add the finely chopped mushrooms and sauté one or two more minutes until softened. In a large bowl add the flour, cornmeal, sugar, herbs and spices; then mix well. Add the beans or lentils, grated carrots, vinegar, 1 Tbs. catsup, 1 Tbs. 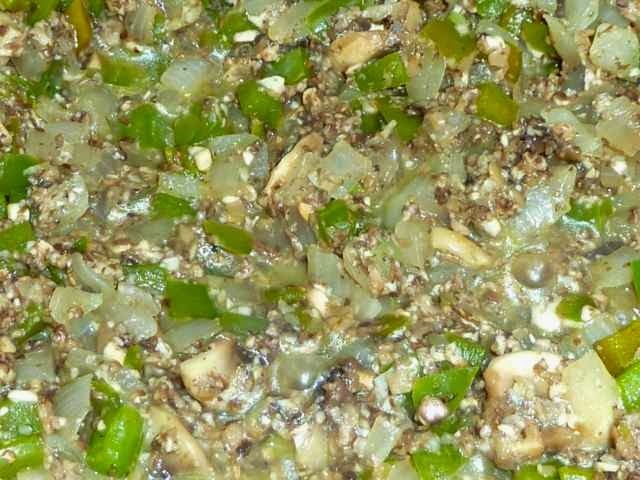 oil, oats, cooked onions, peppers and mushrooms and mix together well. Spoon the mixture into the prepared loaf pan. Smooth the top with wet hands. 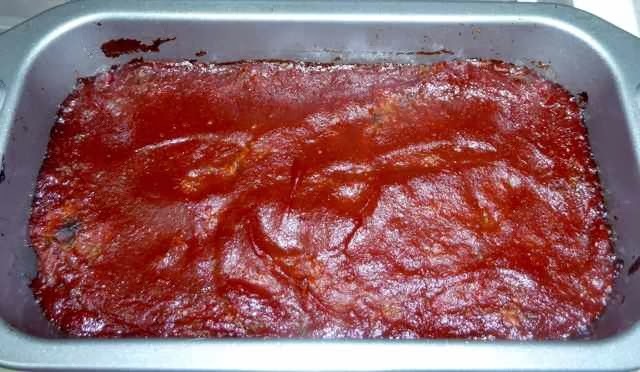 Spread the 3/4 cup of catsup on the top of the loaf. Bake 30 minutes. Cover the loaf with foil after the first 20 minutes of baking to avoid burning the top. Allow the loaf to rest at least 15 minutes before removing it from the pan and serving. If you plan to freeze it, allow it to cool completely first. You can freeze it whole or slice it first and freeze individually wrapped pieces. I made a batch of homemade caramel. 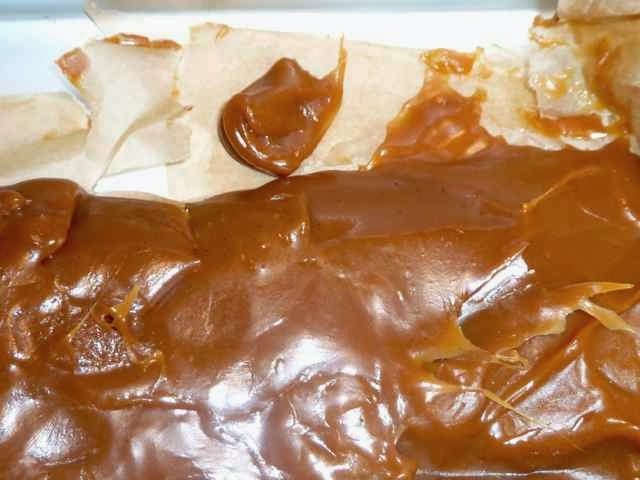 The Food Network recipe for caramels produced a soft caramel that was absolutely delicious. It was not the hard chewy caramels that will stay put when cut into shape, these caramels will spread out as far as you allow them to. They are very soft and melt in your mouth when you bite into them. After wrapping up a dozen caramels in wax paper I realized that this was going to be way too many to either wrap or eat. The wheels in my brain thought of some treats with caramel that I had not had due to the gluten content. Treats such as Twix and Turtle cookies. I also thought of other treats that I liked but were very expensive such as those caramel coated marshmallows that are sold at checkout counters. This particular caramel texture and consistency would work very well with cookies or candy. I decided to start with turtle-like cookies. 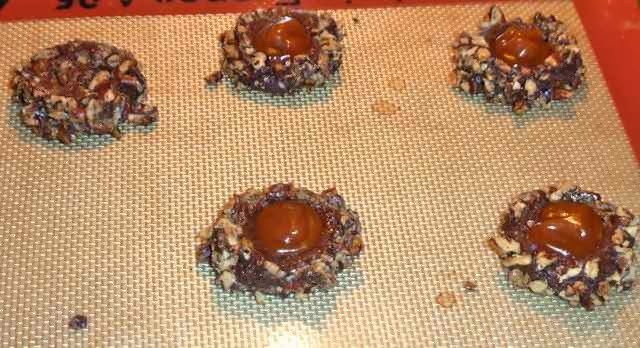 I used Hershey’s Chocolate Thumbprint cookie recipe and Martha Stewart’s Vanilla one and converted them into gluten free versions. I rolled some in nuts and left some plain. 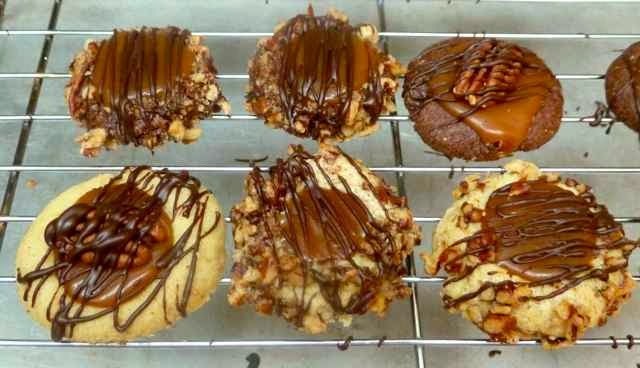 I put small pieces of caramel into the indents of each baked cookie. Within fifteen minutes the caramel spread out into perfectly smooth pools. I also put jam in a few of the cookies. 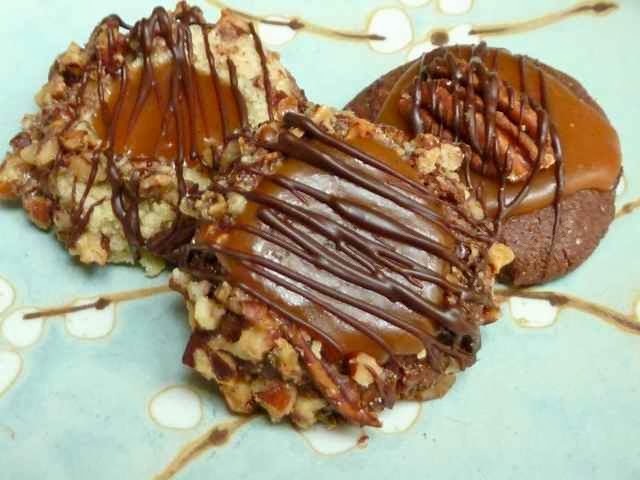 In turtle tradition I decided to put a whole pecan on some of the cookies and drizzled some with chocolate. They taste great in any style, and I should know as I tested them all myself. The recipe contains no gluten ingredients so I made it as it was written. Make one recipe according to directions. It will need to sit 5 hours after it is done so you may want to make it a day ahead. Add the egg yolk (the white will be used later to dip the cookies and coat them with nuts) and vanilla and beat until well mixed. In a separate bowl add the flours, xanthan gum and salt. Mix together well with a whisk. Refrigerate the dough until it can be handled easily to form into balls. About two hours. When ready to make the cookies preheat the oven to 350 degrees and line two baking sheets with parchment paper or silpat pads. Form the dough into balls about 1-inch in diameter. Place the egg white in one small bowl and the chopped nuts in another. 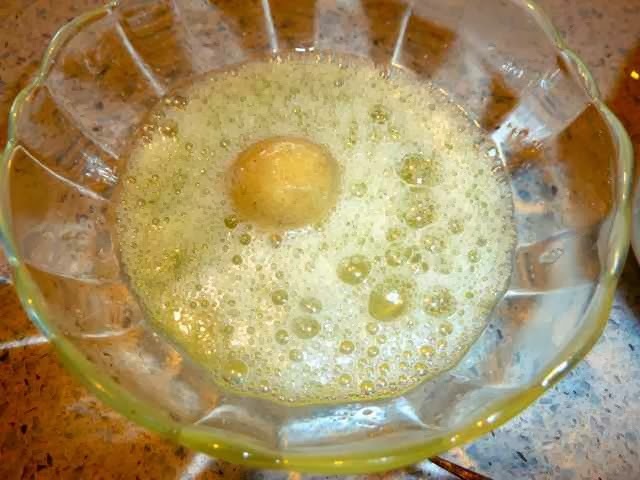 Ball of dough in the lightly beaten egg white. Dip each ball of dough into the egg white and then roll it in the chopped nuts. Then place the balls on the cookie sheets about 3-inches apart. 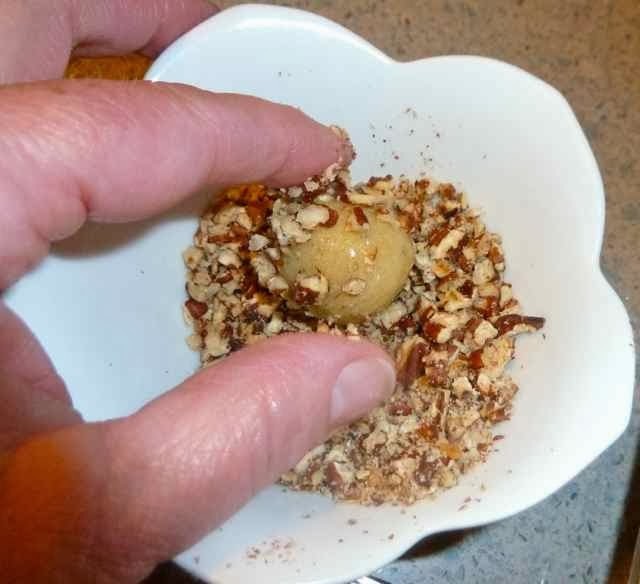 Rolling the egg-dipped ball in the chopped nuts. With your thumb or with a 1/2 tsp. sized round measuring spoon bottom press the center of the ball down to form an indent. Using my thumb to indent the cold dough. If the dough is too cold the edges will crack. Let the dough warm up a bit before pressing the center if you want smoother edges. Bake 10-12 minutes until lightly browned. Remove from the oven and while still warm press down the indent of each cookie with the small measuring spoon or the end of a wooden spoon. Baked Vanilla Thumbprint cookies still hot. Re-denting the center with the measuring spoon. When cool fill each indent with a piece of homemade caramel or with some jam. 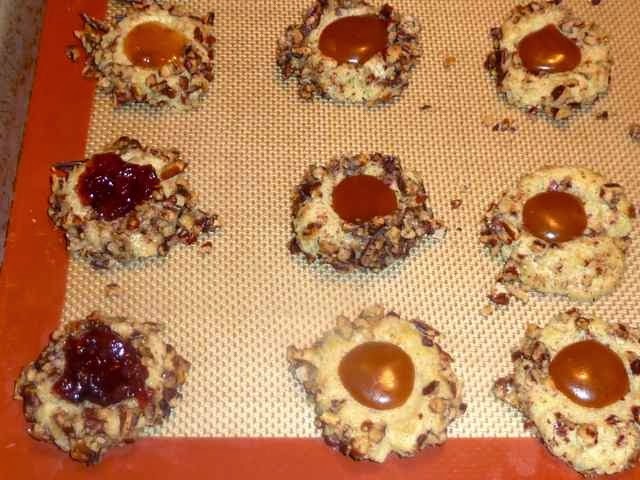 Cooled cookies filled with caramel and jam. If you want chocolate drizzle follow instructions below. Store in a tin lined with wax paper. In a separate bowl add the flours, cocoa, xanthan gum and salt. Mix together well with a whisk. Making indents with a ½ tsp. measuring spoon. I wrapped the spoon with plastic wrap to keep the dough from sticking. A long strip of caramel. I used a kitchen shears to cut off pieces to place in the baked cookie dents. Pieces of caramel in the dents. The caramel will spread out into a smooth pool in a few minutes. Chocolate chips or chocolate - the only ingredients should be chocolate, cocoa butter, lecithin (optional), sugar & vanilla (optional). The chocolate will not temper properly if you use chips without cocoa butter or with other ingredients and chemicals and then the chocolate will not be shinny and will turn grey & crystalize. Shortening (non-hydrogenated such as Spectrum natural brand. Never let the chocolate, or any tools that touch it, get wet...it will turn the chocolate into a thick paste and it will not be usable for dipping or drizzling. Use a digital thermometer to measure the temperature accurately. If not tempered (heated and cooled) correctly the chocolate will not be shinny and it will crystalize and form grey streaks. Arrange the cookies on the rack leaving a space between cookies. In the bowl of a double boiler over, not touching, hot water (the water should not be boiling) add 3 ounces of the chocolate and the shortening. Stir with a spatula until smooth and it reaches a temperature of 115 degrees. Remove the bowl of chocolate from over the hot water and place on a trivet on the counter. Add 1 ounce of chocolate to the melted chocolate mixture and stir until smooth and satiny and the temperature goes down to 91 degrees. 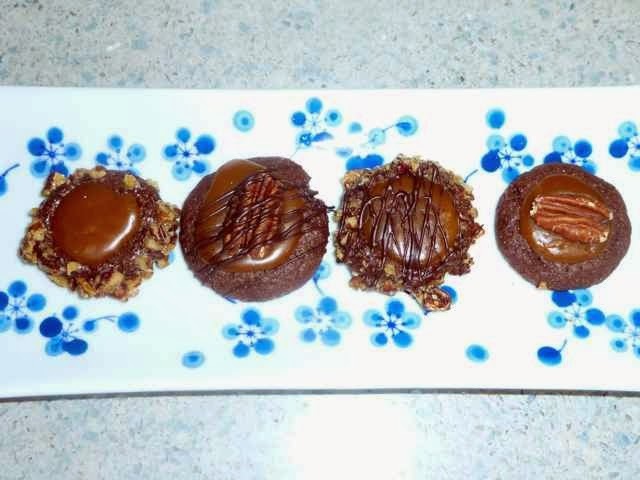 Using a fork, dip the tines into the chocolate and then drizzle the chocolate over the cookies. It works best to move your whole arm (not just the wrist) from side to side over the cookies. 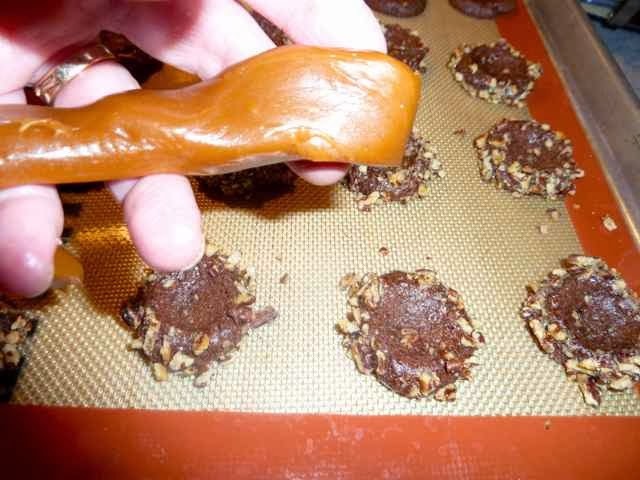 You can also place the melted chocolate into a plastic squeeze bottle with a small hole on the top and then squeeze out streams of chocolate over the cookies as you move your arm from side to side over the cookies. I had a squeeze bottle with five tiny holes on top (that I found at Marshall’s) and it made beautiful thin lines over the cookies. 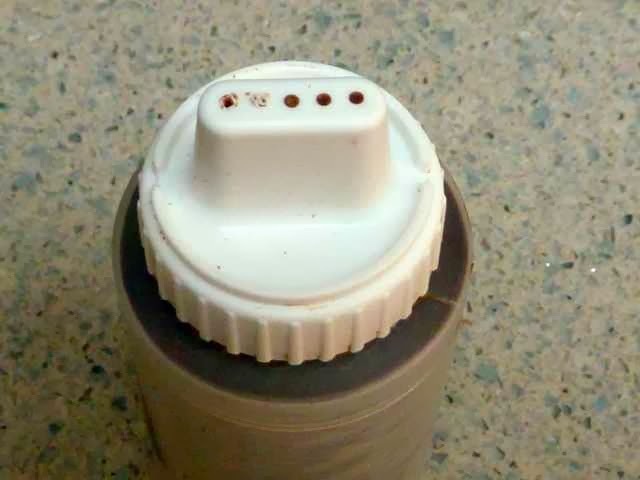 Squeeze bottle with several holes on the top. I filled this with tempered chocolate. You can use a single opening bottle as well. If the temperature of the chocolate falls below 88 degrees warm it up again to 91 and continue drizzling the cookies. Left over tempered chocolate can be stored in a dry sealed container at room temperature. For reuse the chocolate can be tempered again up to two more times. Different ways to fill and decorate the cookies. 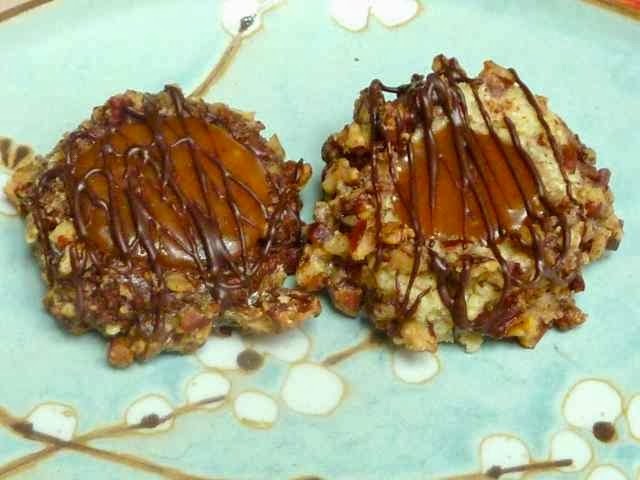 GLUTEN FREE THUMBPRINT COOKIES FILLED WITH HOMEMADE CARAMEL ONE RECIPE HOMEMADE CARAMELS The recipe contains no gluten ingredients so I made it as is. Make one recipe according to directions. It will need to sit 5 hours after it is done so you may want to make it a day ahead. 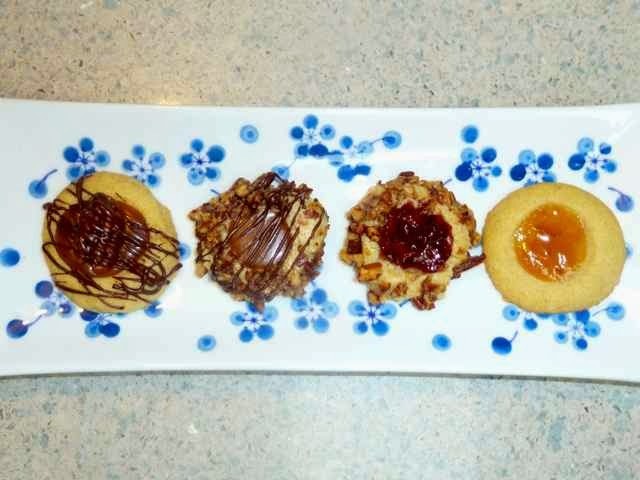 VANILLA THUMBPRINT COOKIES Makes about 2 dozen Ingredients 1/2 cup or 4oz. or 1 stick Unsalted butter 1/2 cup plus 2 Tbs. Sugar 1 large Egg - separated 1 tsp. Vanilla extract 3/4 cup Sorghum flour 1/4 cup Chickpea flour 1/4 cup Tapioca flour 1/2 tsp. Xanthan gum 1/8 tsp. Sea salt 1/2 cup Chopped toasted pecans (or nut of choice) - optional Directions Beat together the butter and sugar until light and fluffy. Add the egg yolk (the white will be used later to dip the cookies and coat them with nuts) and vanilla and beat until well mixed. In a separate bowl add the flours, xanthan gum and salt. Mix together well with a whisk. Add the flour mixture to the butter mixture and mix until well combined. Refrigerate the dough until it can be handled easily to form into balls. About two hours. When ready to make the cookies preheat the oven to 350 degrees and line two baking sheets with parchment paper or silpat pads. Form the dough into balls about 1-inch in diameter. Place the egg white in one small bowl and the chopped nuts in another. Dip each ball of dough into the egg white and then roll it in the chopped nuts. Then place the balls on the cookie sheets about 3-inches apart. With your thumb or with a 1/2 tsp. sized round measuring spoon bottom press the center of the ball down to form an indent. Bake 10-12 minutes until lightly browned. 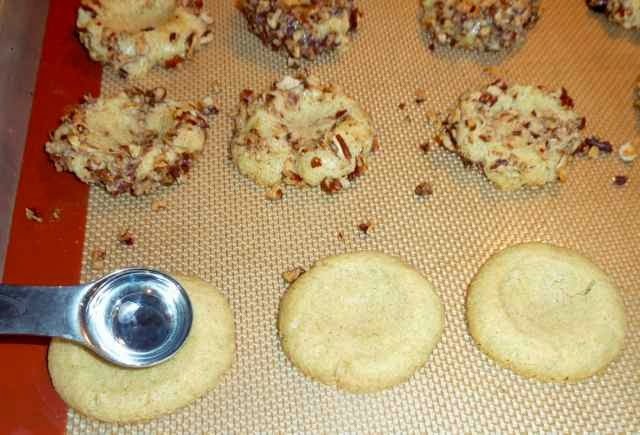 Remove from the oven and while still warm press down the indent of each cookie with the small measuring spoon or the end of a wooden spoon. When cool fill each indent with a piece of homemade caramel or with some jam. If you want chocolate drizzle follow instructions below. Store in a tin lined with wax paper. 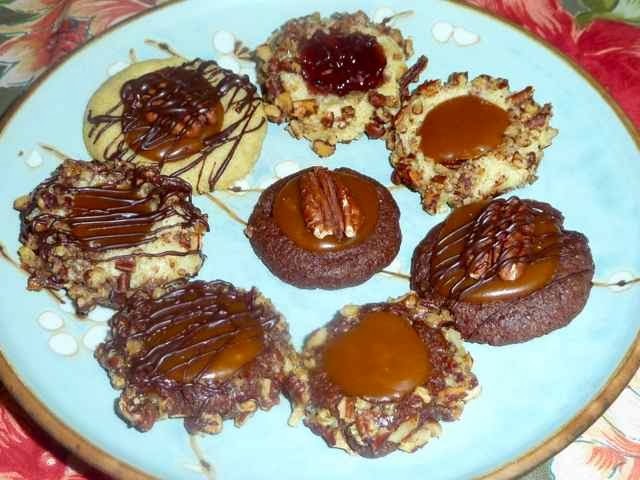 CHOCOLATE THUMBPRINT COOKIES Makes about 2 dozen Ingredients 1/2 cup or 4oz. or 1 stick Unsalted butter 2/3 cup Sugar 1 large Egg - separated 1 tsp. Vanilla extract 2 Tbs. Milk 1/2 cup Sorghum flour 1/4 cup Chickpea flour 1/4 cup Tapioca flour 1/3 cup Cocoa powder 1/2 tsp. Xanthan gum 1/4 tsp. Sea salt 1/2 cup Chopped toasted pecans (or nut of choice) - optional Directions Beat together the butter and sugar until light and fluffy. Add the egg yolk (the white will be used later to dip the cookies and coat them with nuts) and vanilla and beat until well mixed. In a separate bowl add the flours, cocoa, xanthan gum and salt. Mix together well with a whisk. Add the flour mixture to the butter mixture and mix until well combined. Refrigerate the dough until it can be handled easily to form into balls. About two hours. When ready to make the cookies preheat the oven to 350 degrees and line two baking sheets with parchment paper or silpat pads. Form the dough into balls about 1-inch in diameter. Place the egg white in one small bowl and the chopped nuts in another. Dip each ball of dough into the egg white and then roll it in the chopped nuts. Then place the balls on the cookie sheets about 3-inches apart. With your thumb or with a 1/2 tsp. sized round measuring spoon bottom press the center of the ball down to form an indent. Bake 10-12 minutes until lightly browned. Remove from the oven and while still warm press down the indent of each cookie with the small measuring spoon or the end of a wooden spoon. When cool fill each indent with a piece of homemade caramel or with some jam. If you want chocolate drizzle follow instructions below. Store in a tin lined with wax paper. CHOCOLATE DRIZZLE Ingredients 4 oz. Chocolate chips or chocolate - the only ingredients should be chocolate, cocoa butter, lecithin (optional), sugar & vanilla (optional). The chocolate will not temper properly if you use chips without cocoa butter or with other ingredients and chemicals and then the chocolate will not be shinny and will turn grey & crystalize. 1 1/2 tsp. Shortening (non-hydrogenated such as Spectrum natural brand. Directions Things to be aware of before working with chocolate: Never let the chocolate, or any tools that touch it, get wet...it will turn the chocolate into a thick paste and it will not be usable for dipping or drizzling. Be patient and slowly melt it over minimal heat to prevent scorching it. (There are microwave directions on the internet, but I have not tried it this way.) Use a digital thermometer to measure the temperature accurately. If not tempered (heated and cooled) correctly the chocolate will not be shinny and will crystalize and form grey streaks. Place a rack on a baking sheet. Arrange the cookies on the rack leaving a space between cookies. In the bowl of a double boiler over, not touching, hot water (the water should not be boiling) add 3 ounces of the chocolate and the shortening. Stir with a spatula until smooth and it reaches a temperature of 115 degrees. Remove the bowl of chocolate from over the hot water and place on a trivet on the counter. Add 1 ounce of chocolate to the melted chocolate mixture and stir until smooth and satiny and the temperature goes down to 91 degrees. Using a fork, dip the tines into the chocolate and then drizzle the chocolate over the cookies. 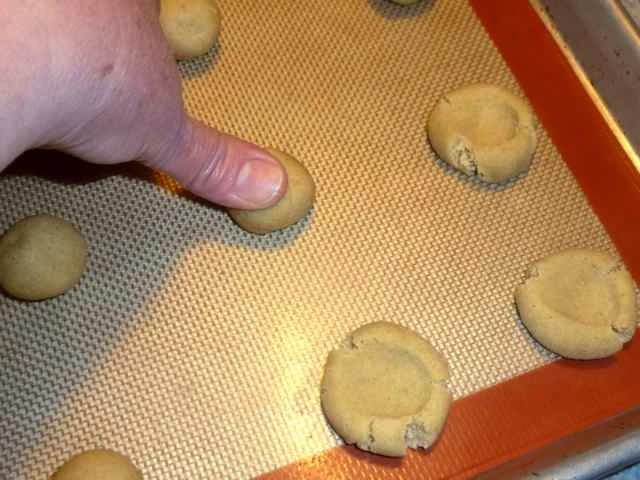 It works best to move your whole arm (not just the wrist) from side to side over the cookies. 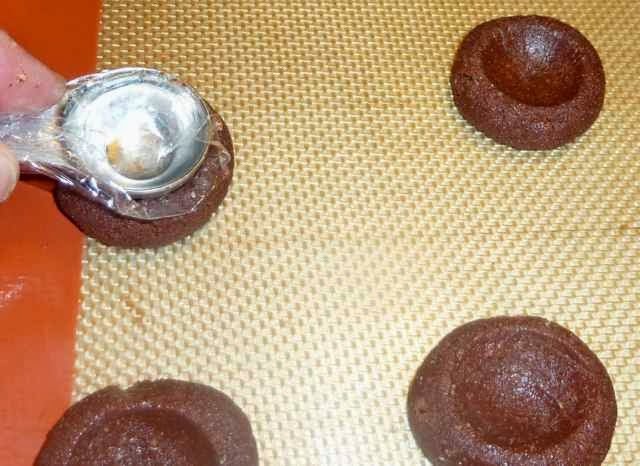 You can also place the melted chocolate into a plastic squeeze bottle with a small hole on the top and then squeeze out streams of chocolate over the cookies as you move your arm from side to side over the cookies. I had a squeeze bottle with five tiny holes on top (that I found at Marshall’s) and it made beautiful thin lines over the cookies. If the temperature of the chocolate falls below 88 degrees warm it up again to 91 and continue drizzling the cookies. Left over tempered chocolate can be stored in a dry sealed container at room temperature. For reuse the chocolate can be tempered again up to two more times.